The ASEAN Economic Community (AEC) is a major step to unify and strengthen the economy of ASEAN countries. As this implementation happening by the end of 2015, it is imperative that all parties shall be the goal of regional economic integration by 2015. AEC envisages the following key characteristics: (a) a single market and production base, (b) a highly competitive economic region, (c) a region of equitable economic development, and (d) a region fully integrated into the global economy. The AEC areas of cooperation include human resources development and capacity building; recognition of professional qualifications; closer consultation on macroeconomic and financial policies; trade financing measures; enhanced infrastructure and communications connectivity; development of electronic transactions through e-ASEAN; integrating industries across the region to promote regional sourcing; and enhancing private sector involvement for the building of the AEC. 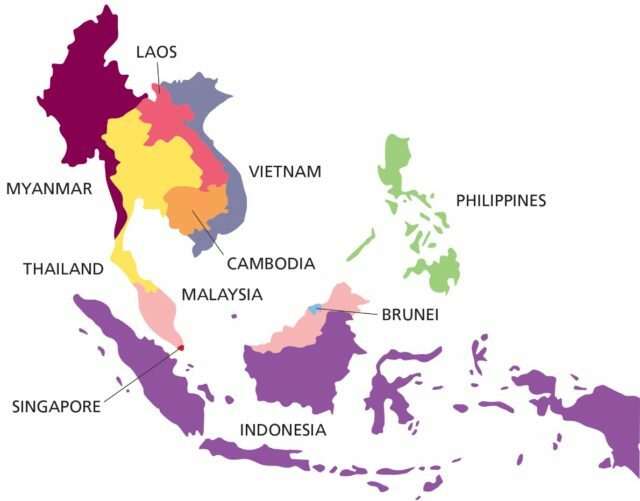 In short, the AEC will transform ASEAN into a region with free movement of goods, services, investment, skilled labor, and freer flow of capital. International Business program is designed to anticipate the rapid change of Southeast Asian development, in which AEC is implementing in 2016. Hence, there is a requirement to equip our program with ASEAN content. International Business Program at Binus International strives to keep up with the latest ASEAN regional development, and current business environment. A number of subjects are dedicated to cater ASEAN studies. This course covers the most important steps of Southeast Asia economic development. It will give the students a full overview of political, cultural, and economic history of both countries and its role in their international growth. The course will provide cases and examples of international companies and investors’ success in Southeast Asia and some examples of the regions companies’ globalization. The development of ASEAN Economic Community (AEC) will also be discussed thoroughly. The course provides an overview of Indonesian business atmosphere and its potential which is influenced by domestic and global environments. Through several assignments and activities students will have the opportunity to discover and learn the existing and potential businesses and markets as well as the dynamics of doing business in Indonesia. This course is an introduction to Managing across Cultures: the threats and opportunities, the problems and possibilities. This course aims to experience and enjoy the richness of cultural differences and to improve effectiveness in international business. One part of this course will explain students about the cultural differences when the other part will show students how to apply the multicultural concept in a social and professional environment. This course provides students with an advanced and updated knowledge of ASEAN economics and politics and cultural issues. This course will develop students’ analytical and decision making skills in ASEAN business. Upon successful completion of this course, students are expected to be able to: analyze historical and contemporary market and business environment in ASEAN region; demonstrate an understanding of a holistic view of nature of ASEAN countries economic relationship; demonstrate a critical and creative thinking in understanding development of ASEAN social issues for solving business problems in international environment; understand and apply professional and ethical responsibilities in ASEAN region. One of the exiting assignments is to produce a digital content that shows how students enable to understand ASEAN contemporary issues in a digital and animated presentation. Some of the digital context are shown here. To enrich the academic rigor and in-depth content in International Business, the program equips with a unit that cater interests on ASEAN business and economics milieu. We welcome researchers that has interests in this field to contribute in the Research Interest Group: The ASEAN Business Studies. All papers related with ASEAN business content are to be selected for further discussion in the center and are entitled to participate in a number of research forum and conferences. We also welcome faculty who wish to do research sabbatical in Binus University International, for a variety of stay from 3-month up to 6-month. The program will support accommodation for visiting scholars in Binus Square (http://binus.ac.id/binussquare/) or other lodging close to JWC Campus. For more information on this program, please contact Dr. Marko S Hermawan; email: marko@binus.edu.